As a property investor and home buyer, this is the most common question that we encounter. How much is my house worth? Being in the business for the past years, we have earned a lot of experience already in appraising homes, and making an offer. Whatever offer we give you, you can be sure it is at par with current property values in the community – and could even be higher than what you would get from a real estate agent. Our main tool in determining your property’s worth is basically current market values and general experience in buying properties. How much will you buy my house? Prepare to get an answer to this question 24 hours upon filling out our website form that details relevant information about the property you wish to sell. Once you have encoded our needed information, we will get back to you within the next 24 hours or the following business day preceding a weekend or a holiday. The same factors apply in determining the cost of your property, only that with us, you do not get charged a commission, closing charges, transaction fees, and service costs. 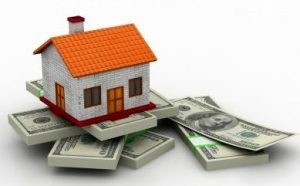 What we offer you is the same amount of cash you will be walking away with upon closing the deal. The Size of the Property. Size will always matter when it comes to property value. The bigger the gross floor area, the higher the resale cost. The Location of the Property. Geography plays a huge part in determining the cost of the home you are trying to sell. The community, the neighborhood, and its proximity to facilities and areas of convenience and leisure definitely determine the home’s value. More importantly, crime rate, access to good schools and great medical facilities and job opportunities also come into play in determining property cost. The Value of the Structure. Appraisers will usually take into consideration the amount it will take to construct a home of the same size and features. It will also take into consideration if it was remodelled or repaired lately. The Features of the Property. While size will always matter, how that size has been utilized in the home will definitely figure in the costing of a real property. The number of bedrooms, bathrooms, powder room, kitchen, living area, working area, as well as the number of cars that can fit into the car port will definitely be considered by the appraiser. Is the home ready to be occupied? Huge plus points for a home that is ready to be occupied. No repair requirements, no need for remodeling whatsoever. Families will definitely think twice about buying a property that they have to refurbish before they can move in. All these being said, we are willing to buy your property no matter its current condition. No matter why you want to sell it. Know how much we will offer to purchase your property today by filling out the information sheet in our website. Get in touch with us today.